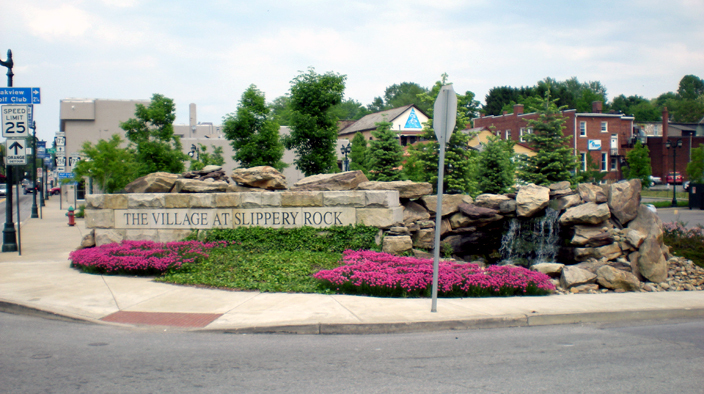 The Slippery Rock downtown district serves as front-door to the borough as well as to nearby Slippery Rock University. Over the years, the deteriorating condition and declining economic vitality of the downtown district had become increasingly adverse to university enrollment and village economic development efforts. 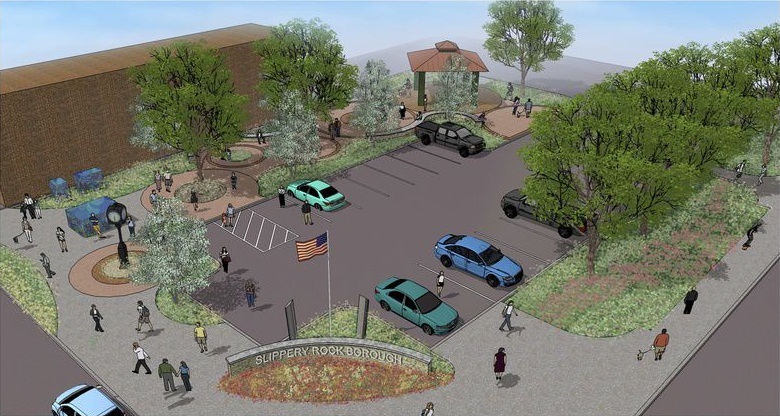 A public-private partnership consisting of the borough, the university and Slippery Rock Development Corporation engaged CT Consultants, to plan and design the six-block downtown revitalization project including comprehensive street corridor capital improvements and enhancements. Street corridor improvements and enhancements included burying all of the overhead wires, installing new historic-style streetlight and traffic signal poles, and constructing new concrete sidewalks highlighted with decorative paving patterns and rock outcroppings. Additionally, an adjoining parking area was renovated with paving, lighting and landscaping to supplement the downtown parking supply, and the alleyway connecting the parking area to Main Street was improved with curvilinear walkway, lighting, furnishings and landscaping. A gathering-area with pavilion was also constructed as a venue for special events. 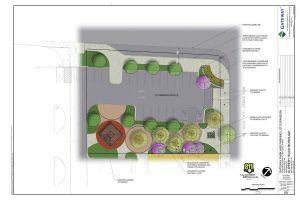 Local artisans were involved in designing many of the streetscape project elements including a stone fountain feature and several public art pieces. A major challenge facing the borough was lack of funding for capital improvements. As part of the project, CT Consultants was actively involved in financial planning and in grant-making that leveraged state and federal funding for construction of downtown street corridor capital improvements and enhancements.